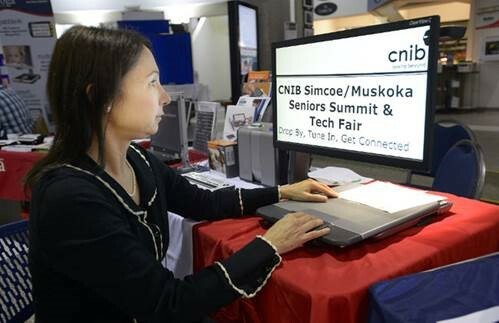 CNIB Simcoe/Muskoka Technology Fair, Tuesday, October 24. A brand new website at Canadialog for a fresh start! Canadialog is pleased to announce the launch of its brand new website. Our new website is now online since April 21st 2017. You can visit our website at www.canadialog.com. Canadialog has made every effort to offer the best user experience as possible. One of the major new features expected by everybody is our new online store. You will have the possibility to order your favorite products directly via our website, pay by credit card or via Paypal and receive your order directly at home, All in a simple and safe way. In addition, our new website meets accessibility standards for users of assistive technologies. You will be able to discover our products and services, get support and read the latest news from the company. We will continue to add products on a regular base on our website and content to the support section, so come back often because the adventure is just beginning! If you require assistance while browsing our website or if you need help to place an order, please contact us at 1-888-730-0003. Looking forward to serving you!